The Fees may change if the property is unique in that it is larger or located on Acreage. Contact us for a FEE Quote if your property is other than noted below. Don't forget, we also offer Sketch/Floor Plan only services. Well worth it to know exactly how much square footage you have and can quote to potential buyers. Plus you can provide our sketch to Bank Appraisers. They will be VERY happy to have this sketch in hand as you saved them time in remeasuring your home! Happy Appraiser is an open minded one! You know the old saying...You get what you pay for? With us you get 25+ years of Real Estate Appraisal Experience, including Lake Lanier Expertise. We appraise all Single Family Homes and specialize in Pre-Listing, Post Listing and Pre-Sale Appraisals. 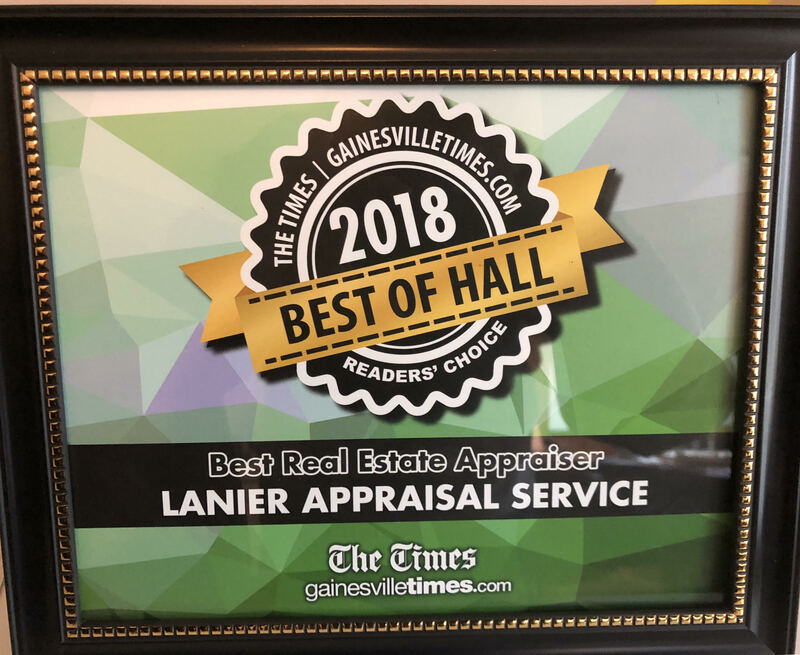 We were voted BEST APPRAISER in Hall County for 2018. Homes up to 4,000 S.F. Homes larger than 10,000 s.f. Contact us for quote.